For exterior coatings “what is the best” well the advances surrounding car care protection has grown exponentially over the past decade,and now includes the latest nano-ceramic [Quartz]technologies. If your goal is to protect the exterior of your vehicle with the glossiest,most hydrophonic,scratch and chemical resistant products on the market then look no further! 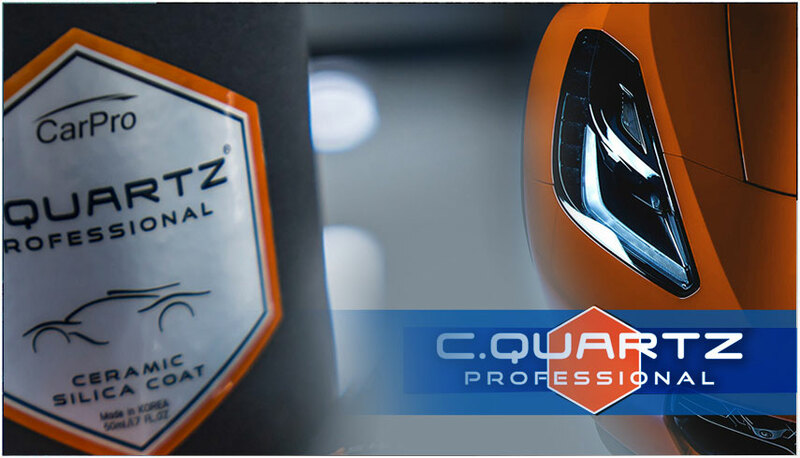 Cquartz Professional is what you need! You will find that Cquartz Professional offers unbelievable results.All CQuartz coatings provide extreme crisp reflections,excellent swirl and chemical resistance,and one of the most hydrophobic surfaces on the market.This hard ceramic shell layers on top of the original clear cloat,and becomes the “sacrificial barrier”between your paint and the environment.This brings minimal risk to the clear coat! Unlike paint coating,glass coating was not designed to enhance the look of the surface it is applied to but rather it was designed with your safety in mind.Similar to paint coating technologies,glass coatings offer unbelievable hydrophobic repellency of water which greatly improves visibility in the rain. Flyby Forte is used for the glass coatings.It is unlike many other products becuase it fully bonds by penetrating the top surface of glass,merging and transforming it into a hydrophobic smooth surface and durable coating. CQuartz Dlux is a nano-tech plastic restoration coating.Unlike other trim products CQ Dlux restores and protects plastic for two years or longer!Traditional products wash off in a matter of weeks or months but CQ Dlux has been tested all over the world and continues to protect month after month regardless of the conditions.